CBDT clarified that foreign companies that have their place of effective management (POEM) in India will be taxed at 40%, plus applicable surcharge and cess. Provisions relating to POEM were applicable from the financial year 2016-17. Prior to this, a foreign company was considered as a tax resident of India, only if the control and management of its affairs were wholly in India during that financial year. Query:Which types of transactions that need the e-way bill? Answer:For transportation of goods in relation to all types of transactions such asoutward supply whether within the State or interstate, inward supply whether from within the State or from interstate including from an unregistered persons orfor reasons other than supply also e-way bill is mandatory. MCA will ask the CS and CA of the companies concerned to update the information related to their directors at the time of filing of annual results. The information will include details such as passport, PAN number and contact details along with the physical address of directors. With the intent to update the registry, MCA would be conducting KYC of all Directors of all companies annually through a new e-form viz. DIR-3 KYC to be notified and deployed shortly. SEBI has issued List of 1690 Defaulters as on May 31, 2018 for Non-Payment of penalty imposed by SEBI through Orders passed upto December 31, 2017. RBI has introduced Single Master Form for reporting of FDI in India. Visit the link for more details-https://calalitgoel. com/rbi-new-circular-fdi/. DGFT has allowed submission of application seeking authorization for import / export of restricted items, after making online application, through e-mail instead of physical papers after payment of applicable fees. 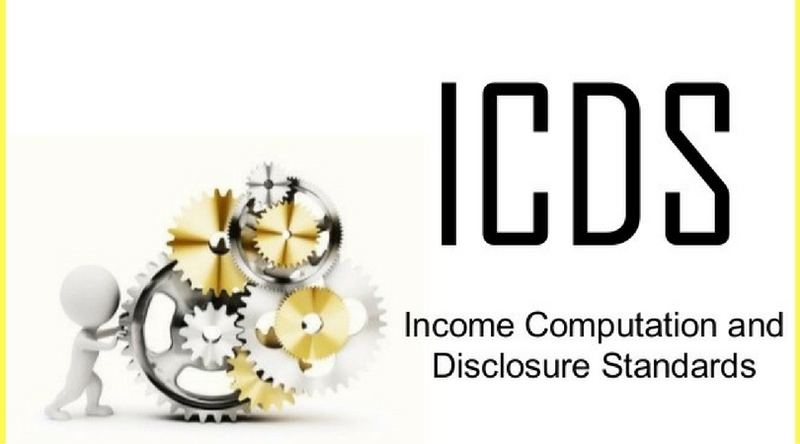 CBDT issued 12 drafts of Income Computation and Disclosure Standards (ICDS) after taking suggestions from stakeholders and the draft ICDS were open for comments and suggestions till 8 February 2015. After taking suggestion 10 ICDS is finalized by CBDT on 31st march 2015. It will applicable from AY 2017-18. Applicable to ‘All’ assesses who is following mercantile basis of accounting. Applicable from AY 2017-18 – quarterly tax provision and advance tax as per ICDS to avoid interest. Some certain rules lay down to ensure certainty and clarity and eliminate the possibility of misunderstanding and alternatives. ICDS is based on Current Accounting Standards. However the objective of ICDS is to provide an independent framework for computation of tax. One relief will given that no separate books of accounts are required to maintain. Various disclosure requirements is silent about the placement of various disclosures e.g. financial statements (separately), computation of income or return of income etc. The person who are following cash system of accounting. Individual and HUFs whose books of account for the year are not required to be audited under section 44AB. Individual or HUF who/which falls under and opts to be covered by presumptive tax schemes would fall under the exclusion of ICDS. Other than both head ‘Profits and gains from business or profession’ or ‘Income from other sources’ ICDS not apply. If there is any conflict arise between the income tax act, 1961 and ICDS then provision of act will get preference. ICDS I relating to accounting policies. ICDS II relating to valuation of inventories. ICDS III relating to construction contracts. ICDS IV relating to revenue recognition. ICDS V relating to tangible fixed assets. ICDS VI relating to the effects of changes in foreign exchange rates. ICDS VII relating to government grants. ICDS VIII relating to securities. ICDS IX relating to borrowing costs. ICDS X relating to provisions, contingent liabilities and contingent assets. Amendment in section 36 of the Act that market loss or other expected loss which is computed as per ICDS is allowed deduction u/s 145(2). Amendment made in section 40A of the Act that no deduction or allowance in respect of market loss or other expected loss shall be allowed except that allow in newly inserted clause (xviii) of sub-section(1) of section 36. A new section 43AA is inserted in the income tax Act related to the provisions of section 43A, any gain or loss arising due to effects of changes in foreign exchange rates transactions related to specified foreign currency transactions shall be treated as income or loss, which shall be computed in the manner provided in Income Computation Disclosure Standard notified under sub-section (2) of section 145. A new section 43CB is inserted in the Income Tax Act which says that profits arising from a construction contract or a contract for providing services shall be decided on the basis of percentage of completion method except for certain service contracts, and that contract revenue which include retention money, and contract cost shall not be reduced by incidental interest, dividend and capital gains. Presently no specified method is specified for construction contract except specified in AS 7. Valuation of inventory is done on actual cost or net realizable value whichever is lower computed on the basis of income computation disclosure standards. The valuation of purchase and sale of goods or services include the amount of any tax, duty, cess or fee actually paid or incurred by the assessee to bring the goods or services to the place of its location and condition as on the date of valuation. Inventory being securities not listed or listed but not quoted in a recognised stock exchange should be valued at actual cost which is recognised as the rules given in income computation and disclosure standards notified under subsection (2) of section 145. Inventory being listed securities shall be valued at lower of actual cost or net realizable value in the manner provided in income computation and disclosure standards given under subsection (2) of section 145 and for this purpose the comparison of actual cost and net realizable value shall be done category-wise. A new section 145B is inserted in the Act which says that interest received by an assessee on compensation or on enhanced compensation should be assumed to be the income of that year in which it is received. If in a contract claim of escalation of price and export incentives is received then it should be deemed to be the income of that previous year in which reasonable certainty of its realization is achieved. as per section 2(24)(xviii) subsidy shall be deemed to be the income of that previous year in which it is received, if not charged to income tax for any earlier previous year. CBEC has issued a circular to all its officers and Commissionerate for Non Initiation / Delay in recovery Proceedings as per the Audit Reports of CAG of India. SBI has filed an appeal in the GST tribunal against a tax demand of Rs. 210 crore for providing various services in the 2013-16 period. The case pertains to tax liability on services provided by Sebi to entities such as stock exchanges, their members, brokers. Query:Can the ‘consolidated e-way bill’ (CEWB) have the goods / e-way bills which are going to be delivered before reaching the destination defined for CEWB? MCA has issued notification that additional fee @ Rs.100/- per day, after30th June 2018 shall become payable in respect of the annual filing forms (MGT-7 (form for annual return), AoC-4 (Form for balance sheet and profit and loss account), in addition to the existing if filed after due date. RBI financial stability report released that Gross NPA ratio of banks to rise to 12.2% by March 2019 if economic conditions stay the same. Bad loans at Indian banks, especially those controlled by the government, will increase further in the year to March 31. Holders of shares in listed companies now face a December deadline to convert them into dematerialized form if they have to transfer or sell them. About 2.3 per cent of India’s $2-trillionplus market capitalization is still held in the form of physical stock. Income-tax department has attached over 1,500 unaccounted properties worth Rs 43 billion across the country within one and a half years of the introduction of the revised benami legislation. Jaipur and Mumbai top the list, with attachments of 200 each. TDS, TCS and Reverse Charge Mechanism under Gst provisions kept on hold till 30th September. Indirect tax department has issued notices to companies that added cash balance lying in their personal ledger account (PLA) to the transitional credit when the tax system moved to GST, triggering panic among such companies. Query:Whether the e-way bill can be cancelled? If yes, under what circumstances? Answer:Yes, e-way bill can be cancelled if either goods are not transported or are not transported as per the details furnished in the e-way bill. The e-way bill can be cancelled within 24 hours from the time of generation. MCA has taken an initiative to introduce a chapter on Cross-Border Insolvency within the Insolvency &Bankruptcy Code, 2016 to provide a comprehensive legal framework, considering the fact that corporates transact businesses in more than one jurisdiction and also have assets across many jurisdictions. SEBI issues List of Defaulters as on 31.03.2018 For Non-Payment of Penalty imposed by SEBI through Orders Passed Upto 31.12.2017. The Reserve Bank of India has imposed a monetary penalty of ₹ 1,00,000/- (Rupees one lakh only) on Urban Co-operative Bank Ltd., Basti in exercise of powers vested in it under the provisions of Section 47A(1)(c) read with Section 46(4) of the Banking Regulation Act, 1949. RBI has come out with draft guidelines on constituting a board of management (BoM) in addition to the board of directors, for urban cooperative banks (UCBs), with the aim of strengthening the governance in these banks. The BoM will be responsible for credit, risk and liquidity management. Whether these common mistakes in ITR have been done by you UNKNOWINGLY ? as per rules given in income tax laws, it is mandatory for taxpayer to show all sources of income and ITR will be filed in correct form which is applicable to him. If a taxpayer file ITR in a wrong form then that ITR will be treated as ‘defective’ and taxpayer will require to file the revised ITR in correct form. “In above case, some time will be provided to taxpayer to rectify mistakes. Taxpayer will be required to file the rectified return within 15 days from the date on which intimation is received u/s 139(9). If assessee apply for time extension and assessing officer will agree then time can be extended by assessing officer. If mistakes are not rectified within time then the return will be treated as invalid return or treated as return not filed at all. Taxpayers will be liable to pay the penalties of non filing of ITR and also liable to payment of some interest u/s 234A for delay filing in ITR. it is compulsory for every taxpayer to report all the interest income received or earned during the financial year (for which return is filed) in his ITR. Normally it has been notice that individuals generally forget to show the interest earned from savings bank accounts, fixed deposits, recurring deposits etc. All the interest discusses above are shown under the head ‘Income from other sources’. Briefly interest received or accrued on fixed and recurring deposits are 100% taxable but some tax relief will be provided on interest earned from saving bank accounts. According to the section 80TTA of Income Tax Act, interest earned from post office and bank saving accounts can claim deduction up to Rs. 10000 from the gross total income. Earlier if any people have long term capital gain which is exempt from tax and because of that exempted long term capital gain gross total income is below the tax payable limit then there is no need to file any ITR. Now as per recent amendment in section 139(1) of the Income Tax Act, if you have any long term capital gain which is exempted from tax and if without this exemption your gross total income is exceed from minimum exemption limit then you have to file ITR. For instance, let us assume that in a financial year your gross total income is Rs 1 lakh and long term exempted capital gains is Rs 2 lakh. Earlier you were not required to file income tax return as your total income was below the minimum exemption limit of Rs 2.5 lakh. Now due to the recent amendment in tax laws, you are required to file ITR as your gross total income plus long term capital gains (Rs 1 lakh + Rs 2 lakh > Rs. 2.5 lakh) exceeds the minimum exemption limit. As per the provision of Income Tax Act section 60 to 64 “ for a taxpayer it is mandatory to add the income of specified persons in their total income at the time of ITR filing and tax is calculated on total income including specified persons income. Specified persons include minor children, spouse and son’s spouse. Mostly taxpayer will forget to add the income of their minor child in his income. “if minor child income included in his parents income then taxpayer will claim an exemption of Rs. 1500 u/s 10(32). If you forget to include the income of minor child then you are liable to pay the tax due along with interest and also may be you are liable to pay the penalty of 50% of under reporting or 200% for mis-reporting of your income. Earlier this penalty was 100-300% of taxes avoided up to A.Y. 2016-17.
if you change your job in the previous financial year then you have to show the income of previous job and current job. If you forget to report any income receive from previous job then you are bound to show that difference in your TDS certificates, Form 16 and Form 26AS. And also it can bring a tax officer to your door. Penalties for this are same as clubbing of income. If you have any income which are tax free then you have to report such income in ITR. For example, interest earned from provident fund is a tax-free income but you have to report this income in your ITR. After that you can claim exemption under various sections of income tax act. All the exempted income will be shown under the head of ‘exempted income’ under the schedule of ITR. Earlier you are bound to report only one single bank account in which you to receive income tax refund (if any). But now from A.Y. 2015-16 you are required to give details of all the bank accounts held in previous year (for which ITR is filed) in his ITR. Only dormant accounts excluded to show in the ITR. In case if you have an another owned house other than self-occupied house and that another house is remain vacant then you have to report the expected rent of that house in your gross total income. Because that notional rent increase your gross total income that may lead to increase in tax and non reporting of that make you liable to pay some penalties as discuss above. If in any case you have taken a house loan on that property and you pay interest for that loan then you can claim benefit of some tax saving by set-off the loss from house property from interest has been capped at Rs. 2 lakh starting from 01.04.2017.
in case if you find any error in ITR after filing the return then it is your duty to rectify that error by filing revised return. Earlier Income Tax Act allow you 2 years time period for filing revised return but now from financial year 2017-18 , only one year from the relevant financial year for which return is filed is allow. Your income exceeds basic exemption limit, which is Rs. 3 lakhs for senior citizens (age above 60 years), Rs. 5 lakhs for super senior citizens (age above 80 years) and Rs. 2.5 lakhs for all other individual taxpayers. If you’re resident in India (other than not ordinarily resident) and you hold (as a beneficial owner or otherwise) any asset or financial interest in any entity located outside India or you have signing authority in any account located outside India. In this case you can’t file return in ITR-1. Form 26 AS is your tax passbook and it reflects details of tax deducted (TDS) from your income and payment of advance-tax during the year. If you find any mistake in Form 26 AS then you should notify the same to tax deductor to rectify it. Tax department match the tax credit claimed by you in ITR and tax credit available in Form 26 AS. Tax department will deny credit of TDS claimed in ITR if it is not show in Form 26 AS. Further, if any entry is found in Form 26 AS but is not show in ITR, a tax notice will be received by you to explain the reason of not reporting it in ITR. CBDT has issued an advisory on its official website regarding cash transactions over and above the prescribed limits specified under the law. The advisory issued by the Board remind the taxpayers to not accept cash of Rs. 2,00,000/- or more in aggregate from a single person in a day or for one or more transactions relating to one event or occasion. Delhi ITAT in the case of Ravina Khurana hearing 15 joint appeals held that there is no justificationimposing the penalty without mentioning the grounds specified in the notice issued under section 274 of the Income Tax Act. Rollout of tax collection at source was deferred to July 1; implementation after systems fully ready that will give a breather to Amazon, Flipkart and other e-commerce service providers. Due date of – Tran – 2. Registered persons under GST but unregistered under old regime- June 30, 2018. Bombay High Court has held that GST shall be payable on ” one time payment” upon creation of lease for a period more than 60 years even if the Lessor is a body set up by the State Government and there shall not be any exemption. Builder Association of Navi Mumbai vs. UOI 2018. Bombay High Court has held that Cenvat ( now ITC) is mere concession and not as a matter of right and conditions and restrictions imposed for availing the benefits shall have to be complied with. JCB India Ltd Vs.UOI.2018 (3) ZSTPT 140 Bom. The Central Government is all set to bring 35 amendments in the current GST laws including clarification for refunds, changes in the enabling provisions for reverse charge mechanism (RCM) and composition scheme and returns filing etc. Query:Whether e-way bill is required for all the goods that are being transported? Answer:The e-way bill is required to transport all the goods except exempted under the notifications or rules. Movement of handicraft goods or goods for job-work purposes under specified circumstances also requires e-way bill even if the value of consignment is less than fifty thousand rupees. The Reserve Bank of India (RBI) relaxed its April notification, which forbade FPIs from investing more than 20 per cent of their portfolios in bonds issued by a single corporate group. Validity of reopening of assessment beyond 4 years – there is no mention that income amounting to ₹ 1 lac or more is believed to have escaped assessment – reassessment proceedings held to be null & void ab-initio –Usha Agarwal Vs. ITO (2018 (6) TMI 1175 – ITAT Agra). Assessment u/s 153A – Addition u/s 68 – the burden had shifted to revenue to show the basis of some reliable and tangible material which could indicate undisclosed receipts out of books of accounts in the hands of assesse – we cannot improve upon what AO could have done himself – addition made by AO on account of alleged receipts of cash deleted – Godwin Construction Pvt. Ltd. Vs. ACIT, CC & Vice Versa (2018 (6) TMI 1172 – ITAT Delhi). CBDT has proposed clear-cut timelines by which excess amount assessed by transfer pricing officials (TPOs) over what was declared by associated enterprises of multinational corporations (MNCs) has to be brought in India. These timelines relate to advance pricing agreements (APAs) and mutual agreement procedures (MAPs). Services provided by TPADL with respect to the non-tariff charges recovered from their customers are not eligible for exemption and TPADL is liable to pay tax on the aforesaid recovery made from their customers – AAR, Rajasthan in TP Ajmer Distribution Ltd. (2018 (6) TMI 1196). The service provided by M/s. Rishi Shipping is classifiable as ‘Rental or leasing services involving own or leased non-residential property’ (Service Accounting Code – 9972) leviable to GST @ 18% - AAR, Gujaratin Rishi Shipping (2018 (6) TMI 1195). CBEC has issued modifications to the procedure for interception of conveyances for inspection of goods in movement, and detention, release and confiscation of such goods and conveyances, as clarified in Circular No. 41/15/2018-GST dated 13.04.2018. E-Way bill generation touches 10-crore mark over 80 days after its launch on April 1, e-way bill generation hit the 10-crore mark. “Ten crore E-Way bills in two months and 21 days and still it is showing an upward trend. Short term accommodation, conferencing, banqueting etc provided to SEZ developer/ unit to be treated as Inter-State supply. Circular 48 of 14.6.18. Query:How does the unregistered transporter get his unique id or transporter id? Answer:The transporter is required to provide the essential information for enrolment on the EWB portal. The transporter id is created by the EWB system after furnishing the requisite information. The details of information to be furnished are available in the user manual. Overriding IBC, 2016 – Since NCLT is not a forum superior to the High Court, it’s orders cannot be construed as injuncting this Court from proceeding with a winding up proceeding in which it has clear jurisdiction to hear and decide - Vinod Jain Vs. Jaipur Metals & Electricals (2018 (6) TMI 1167 – Rajasthan HC). ICICI Bank NSE 0.91 % has disclosed that it has received a whistleblower complaint, alleging irregularities in respect of 31 loan accounts worth Rs 6,082 Crore. The allegations pertain to incorrect accounting of interest income on non-performing assets (NPAs) as fees and overvaluation of security provided for corporate loans. Prime Minister Narendra Modi called for targeting double-digit GDP growth for breaking into the USD 5 trillion economy club and said India’s share in world trade has to more than double to 3.4 per cent. CBDT proposes clear-cut timelines under transfer pricing, through a draft notification, suggested that the amount should be returned within 90 days of signing of APAs and MAPs. CBIC has issued a circular clarifying the procedure for interception of conveyances for inspection of goods in movement,and detention, release, and confiscation of such goods and conveyances. Goods without eway bill, bill etc can be confiscated/detained. Others in same vehicle, with proper papers can’t be held. Circular 49 of 21.6.18. Query:In case of movement of goods by Railways, is there a requirement for railway to carry e-way bill along with goods? Answer: In case of movement of goods by Railways, there is no requirement to carry e-way bill along with the goods, but railways has to carry invoice or delivery challan or bill of supply as the case may be along with goods. Sebi is set to revamp IPO norms to make them less onerous for legitimate sellers while clamping down on possible misuse. 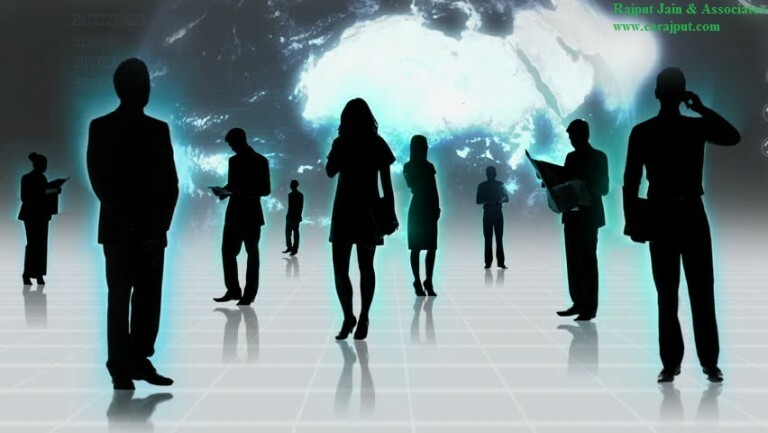 These include recognizing a wider set of institutional investors such as alternative investment funds (AIFs) as counting toward promoters’ contribution in startups, requiring financial disclosures for three years rather than five and reducing disclosure of the price band to two days before the issue opens from five now. The Insolvency and Bankruptcy Code, 2016 consolidates and amends the laws relating to reorganization and insolvency resolution of corporate persons, partnership firms and individuals in a time bound manner for maximization of the value of assets of such persons, to promote entrepreneurship, availability of credit and balance the interests of all the stakeholders. NSE is in the process of introducing a corporate governance code that will be stricter than the existing laws and regulations. In a partial manner notification is applicable to the existing FDI. It is expected from the company that company provide all the details of existing FDI in the prescribed format and prescribed manner as available this respective notification. SMF gives the facility related to reporting of total foreign investment in an Indian entity and also provide facility related to investment in investment vehicle to the person outside India. Before any implementation this process, Reserve Bank of India will provide specific format from 28.06.2018 to 12.07.2018 to Indian entities for input the data of foreign investment. Before the implementation of Single Master Form (SMF), RBI would provide an interface of specified format called Entity Master File (EMF) to Indian entities for input the data of total foreign investment. From 28.06.2018 to 12.07.2018 RBI will made available the interface in their website. The Indian entities who will not qualify the pre-requisite requirement will not able to receive any foreign investment in India and those Indian entities will be considered as non-compliant in Foreign Exchange Management Act (FEMA), 1999 and regulations. RBI will introduced a SMF for fulfil the objective of integration of various reporting structure of foreign investment in India. The SMF is required to be filed online and also provide a facility to Indian entity for reporting total foreign investment. Single Master File is a substitute of individual reporting currently done through “Form FC-GPR, FC-TRS, LLP-I, LLP-II, ESOP, CN&DRR”. However the requirement of submitting the annual statement of “foreign liabilities and assets” to RBI is continue 15 July every year. The Single Master Form will be integrated reporting forms which will event-based form helping the person residing outside India in reporting the total foreign investment. Entity Master Data (EMD) Annex-I : It is required to all Indian entities to provide all the details of foreign investment received by them till date called as Entity Master Data and the format of is given in Annex-I of said notification. SMF will also provide the facility of reporting total foreign investment in an Indian entity via company, LLP & other investment vehicles(REITs)/Infrastructure Investment Trusts(Invlts)/Alternative Investment Funds(AIFs). For issue & transfer of shares – FC-GPR & FC-TRS. For foreign direct investment & foreign disinvestment/transfer of capital contribution in LLP – FORM LLP-I & II. Reporting the Downstream Investment (Indirect Foreign Investment) in a company or LLP via FORM DI. For any subsequent foreign investments, an integrated reporting structure of various types of foreign investment introduced which will be called SMF. The format of SMF is given in Annex 2 of said notification. While the format of the form has been provided as Annex 2 to the circular, RBI is yet to notify the form. 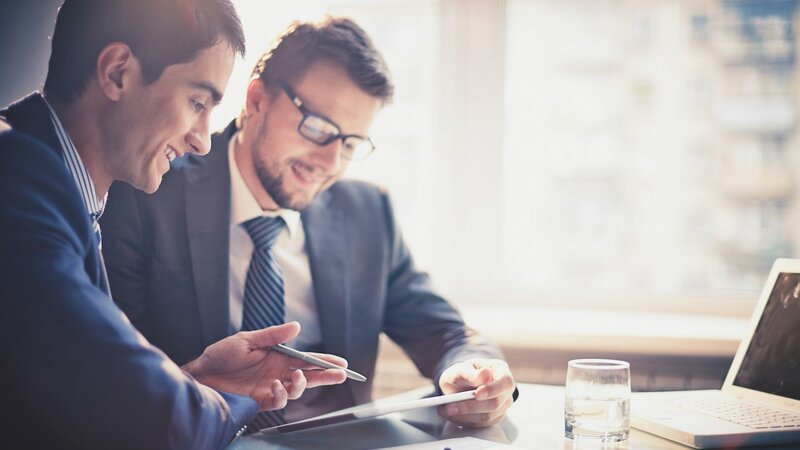 Once notified, the form will be available in the master direction on reporting as well as on the website for the entities to file it as and when required. The Indian entities who will not qualify the pre-requisite requirement will not able to receive any foreign investment in India and those Indian entities will be considered as non-compliant in Foreign Exchange Management Act (FEMA), 1999 and regulations. FEMA requires observation of its provisions in letter and spirit and if any contravention may land in penalties on the erring company and individuals. There are some conditions and stipulations in case of FDI, ODI, investment by individuals in foreign shares, purchase of assets in foreign countries, extending guarantees, availing ECBs, supplier’s credit. The integration of the extant reporting structures is a positive move made by RBI to simplify and rationalize reporting for foreign investment in India. This crucial amendment is in line with the SEBI circular which was issued for the listed companies for monitoring FDI limits. There may be certain practical difficulties before implementation of the new form for the Indian entities to collate details on foreign investment, especially as the window for uploading such data on the RBI interface is open for only 15 days. Now severe consequences attached to non-filing, Indian entities having foreign investment must prepare to submit the information timely. A tax benefit claimed by a taxpayer in his revised income-tax return cannot be denied outright by an income-tax (I-T) officer merely because the revised return has been filed after issue of notice – ITAT, Mumbai inMahesh Hinduja. Addition u/s.68 – gift – When however, large amounts are stated to have been gifted, that too by a person having no blood relation with the assessee, the question of genuineness of the gifts would require closer scrutiny – Tribunal has made superficial observations and mechanically accepted the genuineness of the gifts – CIT Vs. Mukesh M Sheth (2018 (6) TMI 1056 – Gujarat High Court). Taxpayer can file revised return after notice issued by Income Tax Department- ITAT. However, the revised return needs to be filed within the time limits set out in Income Tax Act. The income tax department has proposed clear-cut timelines by which excess amount assessed by Transfer Pricing Officials over what was declared by associated enterprises of multinational corporations has to be brought in India. These timelines relate to advance pricing agreements and mutual agreement procedure. Transporter registered in multiple states with same PAN may apply for common enrolment no. for eway bill by filing GST ENR-02, using any GSTIN. GST has been spoken of as a panacea for high fuel prices but the structure in works would ensure rates remain almost at same levels. A peak tax rate of 28% plus states levying some amount of local sales tax or VAT on petrol and diesel. CBIT&C modifies the procedure for interception of vehicle for inspection of goods in movement, and detention, release and confiscation of such goods and conveyances, as clarified in Circular, dt.13.04.2018 – Circular No.49/23/2018-GST, dt.21.06.18. GTA Service – The document issued by District Supply Officer conveying the goods transported cannot be construed as a consignment note – Gade Transport Vs. CCE (2018 (6) TMI 1010 – CESTAT Mumbai). Query:Whether e-way bill is required for intra -State movement of goods? Answer:At present e-way bill is required only for inter-State movement of goods. For intra-State movement of goods the requirement for e-way bill will be introduced in a phased manner, for which rules will be notified by respective states separately. MCA issues The Companies (Significant Beneficial Owners) Rules, 2018; &, The Companies (Management & Administration) 2nd Amendment Rules, 2018. MCA Ntfcns of 13.06.18. MCAacross India have initiated the action (II Stage) against the non working companies for striking off of all such companies under Section 248(1) of the Companies Act, 2013. Public Notice in Form No. STK — 5, Pursuant to sub-section (1) and sub-section (4) of section 248 of the Companies Act, 2013 and rule 7 of the Companies (Removal of Names of Companies from the Register of Companies) Rules, 2016 has been issue by the Registrar of Companies, Delhi to 31,250 Companies. The Registrar of Companies across India have initiated the action (II Stage) against the non working companies for striking off of all such companies under Section 248(1) of the Companies Act, 2013. SEBI has issued a circular w.r.t Enforcement of SEBI Orders regarding appointment of Directors by listed companies.SEBI has referred to enforcement of its Orders debarring entities/individuals from accessing the capital markets and / or restraining from holding position of directors in any listed company. The Reserve Bank of India has imposed a monetary penalty of Rs. 50,000/- (Rupees fifty thousand only) on City Co-operative Bank Ltd., Hassan, in exercise of the powers vested in it under the provisions of Section 47 A (1) (c) read with Section 46 (4) of the Banking Regulation Act, 1949.